Intel Quark SoC for low power embedded devices has been seen on platforms designed by Intel themselves, such as Intel Galileo board or Edison wearable development kit, but I had not found Quark SoC in actual products until Aaeon announced their AIOT-X1000 gateway for the internet of things running Linux on an Intel Quark X1000 SoC, and working with a Cloud Service by Asus, Aaeon’s parent company. The solution targets manufacturing, transportation, and energy applications. The board can run Wind River or Yocto Linux, and McAfee security is apparently part of the software packages too!?. Operating systems and development tools for the platform will be the same as Intel’s Gateway Solutions for the Internet of Things (IoT) Development Kit according to Aaeon. AIOT-X1000 gateway is supposed to collect data from various sensors and be controlled by the cloud, and transfer results back to Asus Cloud Platform where the data will be stored in a database, and analyzed, as shown in the diagram below. 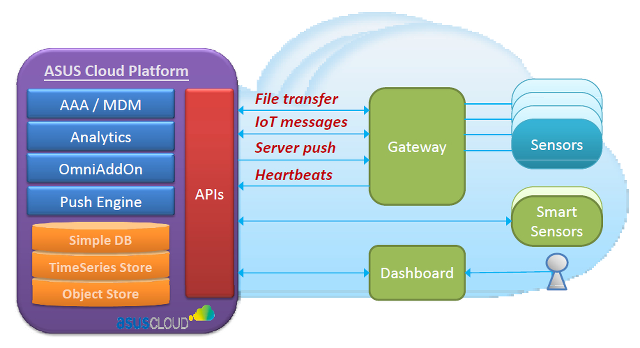 Communication between the gateway and the cloud occurs via file transfer, IoT messages (whatever that means), server push, and heartbeats. The Cloud platform will provide connectivity management, data storage and processing, data searching and indexing, and various cloud management functions. 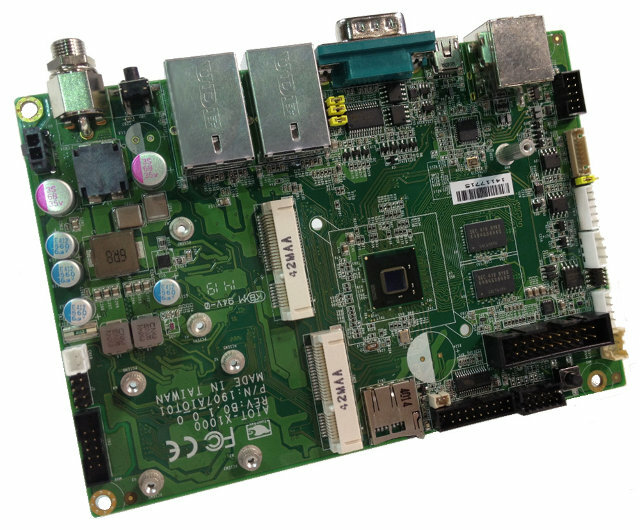 Pricing and availability information are not available publicly for either AIOT-X1000 or the 3.5″ board which can be purchased separately. 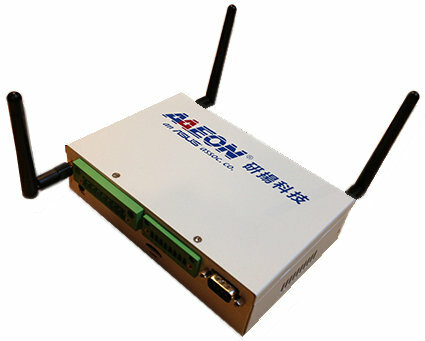 There’s no AIOT-X1000 product page on Aaeon website at the time of writing, but the company is currently at Computex 2014, where demos using AIOT-X1000 are showcased in Aaeon and Intel booths between June 3 to June 7.